Drake has been a fixture of the Toronto Raptors organization, serving at the NBA team’s global ambassador. The Boy added another function to his gig with the squad after joining the broadcast team in the booth as a guest commentator. 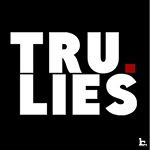 Drizzy, fresh off of unleashing the blistering “Summer Sixteen” track on his OVO Sound radio show, sat down with the broadcast duo of Leo Rautins and Matt Devlin and dished on a few items of note. With the 2016 NBA All-Star Weekend happening in the city of Toronto, Drake is certainly looking to do it bigger than most. The Raptors, who vanquished the visiting Detroit Pistons on Saturday (Jan. 30) by a score of 111-107, are on their 11th win in a row. The streak that the team is on gave way to Drake boasting about the “10 or all” NBA All-Star Weekend parties going on, comparing the number to the team’s recent wins. Drake did well in his spot, although it was clear that Rautins and Devlin were more interested to hear what the 6 God had to say. The Canadian superstar even quipped that broadcasting came easy to him and he might take it up and leave the rap game alone. Yeah, right. 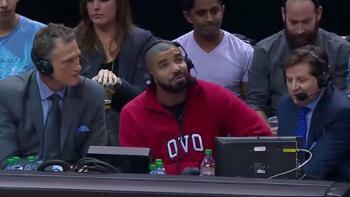 Check out Drake as a guest commentator for the Toronto Raptors in the clip below.